Tamco® Polypropylene Canopy Fume Exhaust Hood | U.S. Plastic Corp. Exhaust hoods serve a wide variety of industrial processes where toxic contaminants are present. Hoods are designed to capture fumes and funnel them into an exhaust system where they can be removed from human and environmental contact. 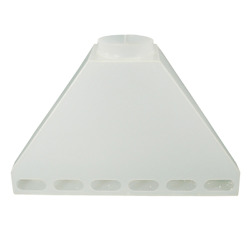 These canopy hoods are designed for venting fumes from over work and lab tables. 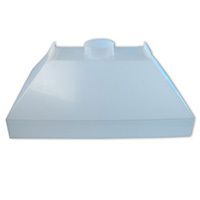 They are fabricated form 1/4‚Äù polypropylene material which offers excellent resistant to a wide range of chemicals. The hood measures 48" long x 30" wide x 18" high ID. 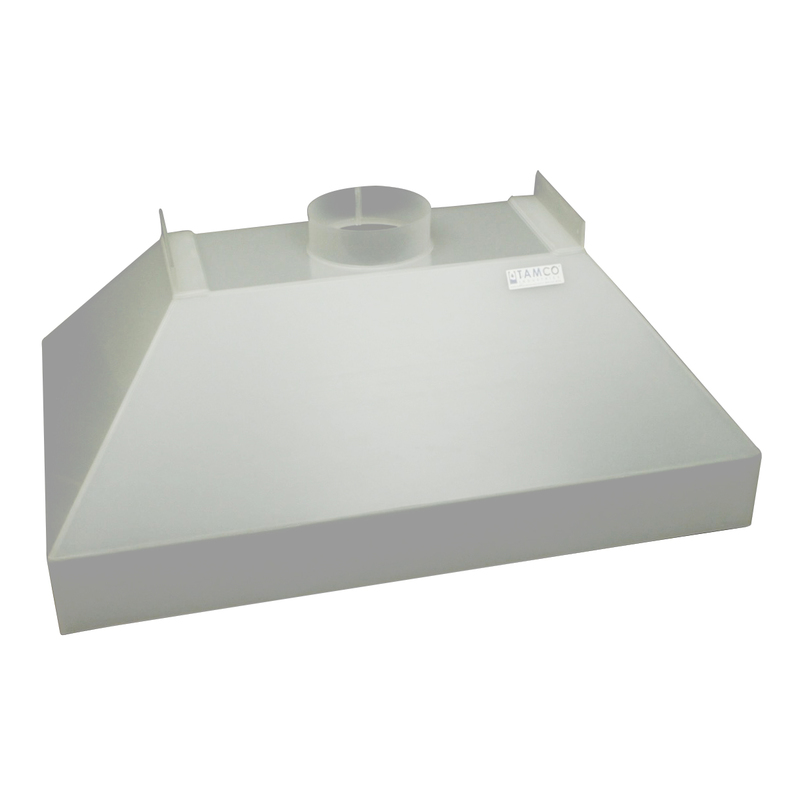 The polypropylene exhaust hood has an 8.625" ID outlet for rigid 8" OD PVC duct pipe. Temperature range: 40°F to 200°F.